VIPAccessEXCLUSIVE: Jessie Paege Interview With Alexisjoyvipaccess At The 2017 Nickelodeon Kids’ Choice Sports! Come and join the mermaid gang, we have the wonderful Jessie Paege! If there is one person that could put the biggest smile on everyone’s face, it definitely has to be the magnificent Jessie Paege. The remarkable Jessie Paege has established herself as one terrific YouTube sensation that we all are obsessed with. With over a whopping 1 million subscribers on YouTube, Jessie Paege has and continues to bring out the most extraordinary content that we all can spend hours upon hours watching. Whether it’s DIY, music, fashion, life hacks and beyond, Jessie Paege’s YouTube videos are always so enjoyable to watch and we’re totally hooked onto her spectacular channel. Jessie Paege has the most vivacious, fun-loving and vibrant personality that she radiates to all of her fans in all of her videos. Needless to say, we love how Jessie Paege brings out so much awesome girl power to all of her fans. She uses her platform for good and to inspire everyone to love who they are and be confident in themselves. Jessie Paege is a ray of sunshine and her dazzling and effervescent persona is something we can never get enough of. She rocks some of the cutest and most colorful OOTDs, she’s a total sweetheart and a marvelous and genuine, young lady – Jessie Paege is an absolute gem! 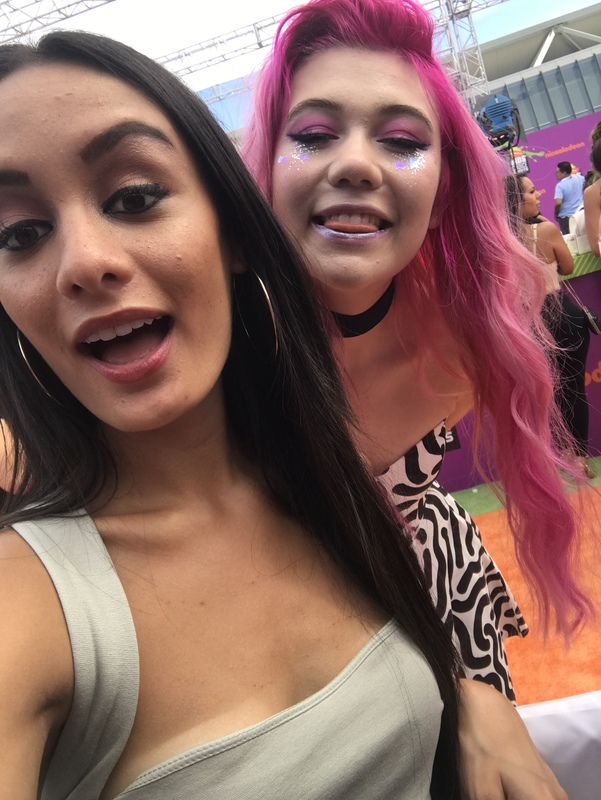 I, Alexisjoyvipaccess had the honor of covering the renowned and prestigious 2017 Nickelodeon Kids’ Choice Sports again and had a brilliant time interviewing the fabulous Jessie Paege at the event. Jessie Paege dished exclusively to Alexisjoyvipaccess all about what her favorite YouTube video is that she has brought out to all of her fans, what are some other exciting, upcoming projects she is working on that fans can look forward to, and so much more only in our VIPAccessEXCLUSIVE interview. Jessie Paege even revealed her number one fashion advice she would like to bring out to all of her fans – hear what she had to say in our VIPAccessEXCLUSIVE interview below. Thanks for the super fun interview, Jessie! Check out my VIPAccessEXCLUSIVE interview with the phenomenal Jessie Paege at the 2017 Nickelodeon Kids’ Choice Sports below! Previous VIPAccessEXCLUSIVE: Cree Cicchino Interview With Alexisjoyvipaccess At The 2017 Nickelodeon Kids’ Choice Sports! Next VIPAccessEXCLUSIVE: Madisyn Shipman Interview With Alexisjoyvipaccess At The 2017 Nickelodeon Kids’ Choice Sports!